With spring making its first, faltering, though large, steps* – sorry to readers on the east coast of the USA for sounding so chipper about the weather – I should be posting about crocus or suchlike and not be harping on about hellebores still. 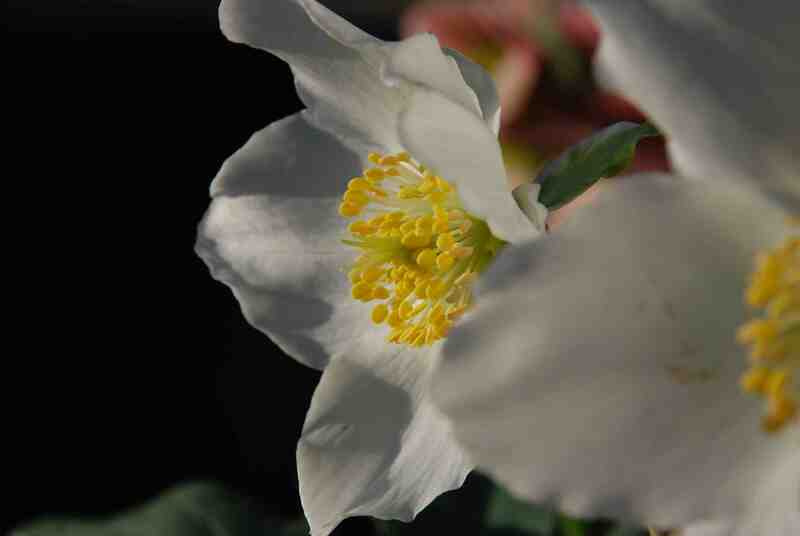 But I just wanted to report on last year’s plantings of H. niger, the Christmas rose. This can be a tricky plant to make feel content and I have to admit that I have often seen it dwindle away before my eyes and I had almost given up on it. But I put some in the new beds I made in autumn 2013 and I have been astonished at their growth. They were ‘ordinary’ unnamed garden centre plants in 1 litre pots and were put in the new beds along with Japanese maples, winter heathers, euonymus and snowdrops among other things and the beds are in 3/4 shade, partly from an enormous oak. The beds were made in a lawn and the soil was awful – well so is the lawn with 50% moss! The lawn was sprayed off and dug in and lots of mushroom compost added and the bed was thickly mulched with same. Since November there have been a few flowers but now the plants are going crazy with dozens if not hundreds of buds pushing through the dense, healthy, dark green leaves. Perhaps, after decades of trying to get the conditions right I have finally managed to get it right. Whether it is the masses of humus, the shady spot or the lime from the mushroom compost I do not know but I am grateful. *Tuesday was warm and sunny and springlike. Wednesday morning was lashing rain but by lunch was glorious sunshine and there was real warmth in the sun. This morning is rain again but due to clear up later. They are all beautiful, I’ve learned about some of the flowers that grow there. Thank you! Lovely pics. I have had 2 clumps of similar terrific Helliborus Niger which started months ago, one much earlier than the other. Like yours they were v good but relatively inexpensive plants which were so stuffed with flowers that it almost took from them. The one that started & finished first I’m a bit concerned about as it’s now not looking too great. I hope it hasn’t flowered itself to death! I keep meaning to give it a feed. All my various H. orientalis are mostly flowering their socks off now, except for whites which seem to be a little later. Like you I love them all. It may help if you deadhead your sickly one to prevent it wasting energy setting seeds. Ofcourse it may not help since most hellebore flowers, being composed of sepals not petals, turn green as they age and so may actually help feed the plants. I love hellebores so I am sorry this is the last one. I have a number in different spots around the garden. One spot is doing so very much better than another. I will have to consider moving some, although that can be death. 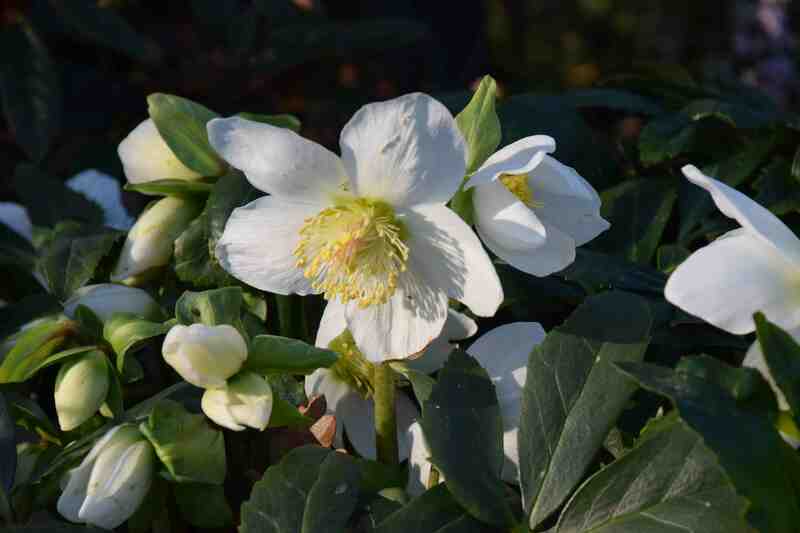 I have never had a death by moving hellebores but I usually do it in late autumn if it is necessary – dividing them is another matter though – the crowns are so dense and woody!